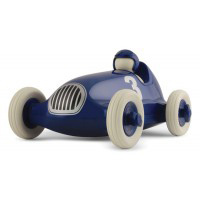 Playforever began as a fascination with the beauty and magic of classic vehicles which sparked a lifelong ambition to create a collection of timeless heirloom toys, a collection that would delight and captivate children and grown-ups alike. Today, the Playforever brand is sold in over 20 countries worldwide. Drawing inspiration from iconic racing cars and fighter planes from the 1920s, as well as classic 1960s New York, the collection is an eclectic mix of art, fashion, traditional design and modernism. Playforever believe in authentic design and a flawless finish with an ethos that beautiful products are born from the finest materials. Child-friendly, soft-roll rubber wheels are used along with long-lasting, UV-resistant paint finish and all are safety-tested to the highest international standards. 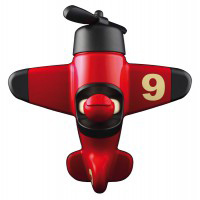 Playforever are creators and connoisseurs of virtually indestructible art toys that are built to last a lifetime.